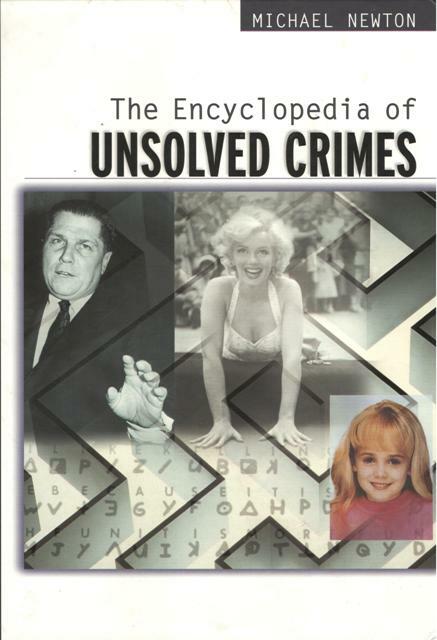 This extensive survey of recent unsolved crimes that have baffled detectives and law-enforcement agencies is a valuable resource for amateur sleuths, crime writers, and law-enforcement professionals alike. More than 500 fascinating entries examine many of the most disturbing cases from around the world during the 19th and 20th centuries, including murders, robberies, missing persons, kidnappings, serial killers, and more. Each entry provides an overview of the crime, the parties involved, evidence gathered, and leading theories about solutions. Michael Newton is a professional writer who has published more than 176 books since 1977. He has written primarily about crime, with a specialization in serial murder, including the textbook Serial Slaughter (1992) and The Encyclopedia of Serial Killers (Facts On File, 2000). He is also the author of The Encyclopedia of Kidnappings; The Encyclopedia of High-Tech Crime and Crimefighting; and The Encyclopedia of Robberies, Heists, and Capers, all for Facts On File. He lives in Nashville, Indiana.